I mentioned a while back, the current wish list (or manifestation list, or posting to the universe, or whatever you want to call it….) I am working on has a trip to Burning Man for this end of summer. I am pleased to announce that a ticket has been procured on my behalf. My friend who purchased it as insurance that he will be going with at least one person he knows, is excited to be going and told me he already has his costumes. 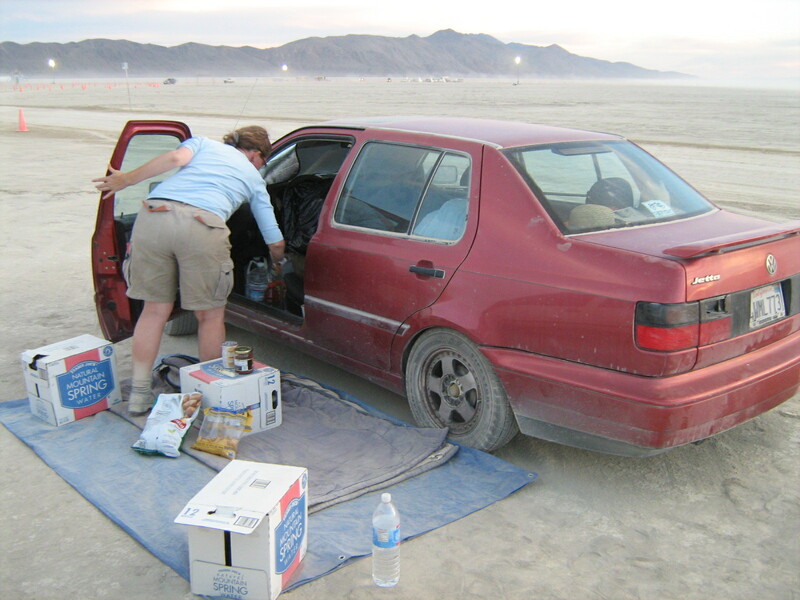 I am not currently well prepared in that department, but I have everything we could possibly need to camp, and a car already covered in Playa dust that won’t care if it gets some more on/inside it. I am excited to be going with an outgoing person with a goofy sense of humor and a smile to match. As I am now scheduled to be dealing with a course the weekend before, we won’t be leaving until Wednesday the week of the event. That still will leave plenty of time to get dirty with crusty hair. Yoo-ha for that! It just wouldn’t be the real deal without the crunchy grit to prove we were there. Looking forward to it, and glad that one item on the wishlist can be crossed off. Thank you, Universe. And remember, when visiting Black Rock City, you gotta love the possibility of playa dust, and lots of it.